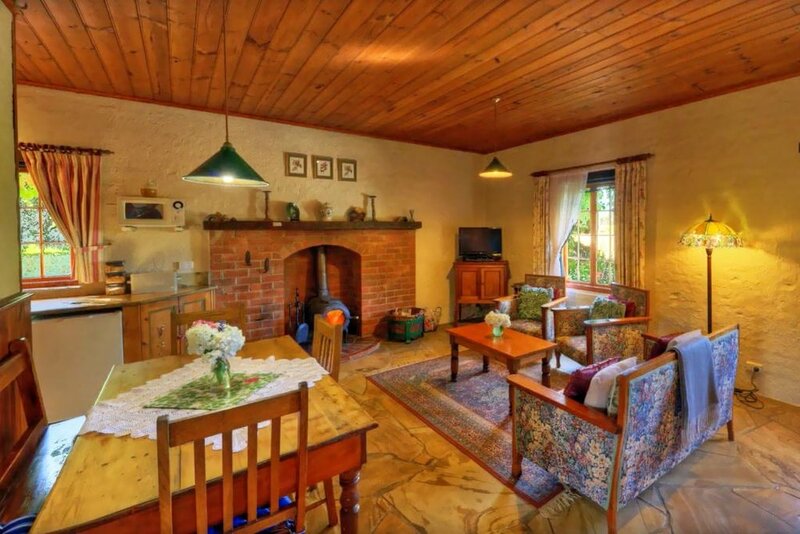 Hobbit Cottage is secluded, fully self contained, self catered & very private. 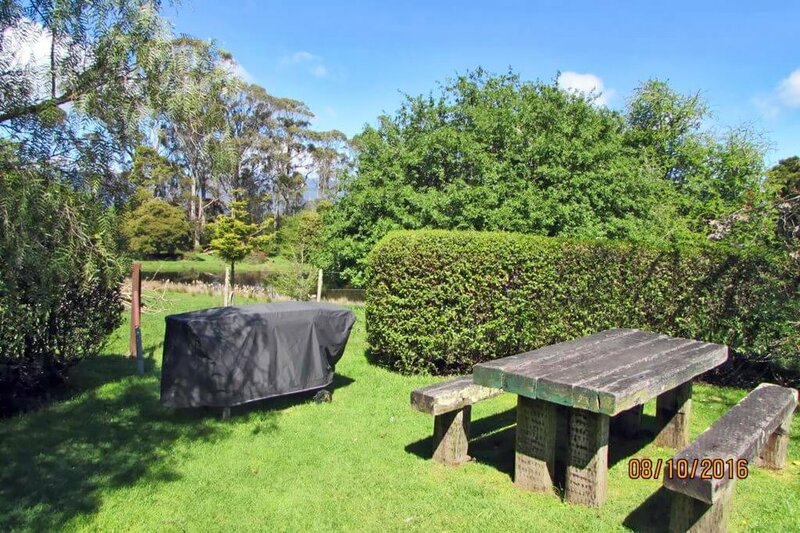 Hobbit Cottage is secluded, fully self contained, self catered & very private. There are two bedrooms, one room has a queen size bed and the other room has two single beds. The private bathroom has a walk in shower. Relax in the lounge room in front of the log burning fire. Hobbit Cottage has books to read and DVDs to watch. The kitchen is small and fully functional with an electric stove, oven, bar sized fridge and microwave. Hobbit Cottage has everything you need including electric blankets, an LCD TV, DVD player, CD Player, Log Fire, BBQ with outdoor seating area and so much more. Breakfast provisions are provided in the cottage for you to prepare. We will respect your privacy and only provide house keeping or re-provisions on a mutually agreed basis. Please note: a two night minimum stay applies for all bookings. Prices vary: check below for availability and current pricing.